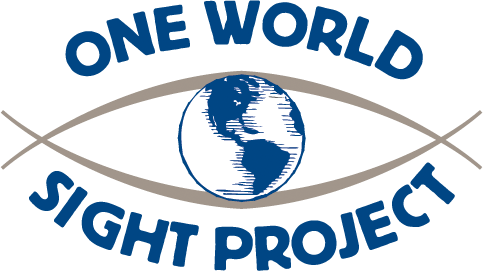 Rotary forms task force on blindness – One World Sight Project, Inc.
Rotary International has formed an official Task Force to evaluate how the organization can support blindness prevention and treatment activities around the world. At the urging of world renowned eye surgeon and humanitarian Robert Welsh, incoming President Frank Devlyn has formed a task force to look into blindness issues and has assigned it top priority. Welsh is also founder and President of the Volunteer Eye Surgeons Association and was also instrumental in forming the One World Sight Project (OWSP), where he continues to function as an Advisor. Doyle Dannenberg, PDG of Escondido, CA was named as the Chairman of the Task Force and Neville Hackett, O.B.E. of Leicestershire England will serve as its Co-Chair. Both gentlemen bring years of experience and knowledge to their positions and have already made progress. On February 5, 2000 the Chair and Co-Chair, as well as Welsh and Devlyn, met with leaders in international eye care, including representatives of the American Academy of Ophthalmology, Sight Savers (the largest British eye charity organization), and OWSP President Richard Weiss, MD to discuss innovative strategies to support ongoing international relief and development efforts. *1.2 Million Rotarians in 30,000 Rotary Clubs in 162 Countries worldwide are now dedicated to restoring sight to 18-Million impoverished cataract-blinded in rural areas of poorer countries. Many “volunteering” eye-surgeons are Rotarians using cataract “micro-surgery” with up-to-date lens-implants.